As you have probably heard by now, this week the presiding judge in the Goldwater lawsuit ignored the fundamental arguments of the case and ruled against your right to effective representation. The court granted the injunction requested by The Goldwater Institute which puts on hold several provisions in the MOU having to do with full time release. Specifically, the judge disallowed the joint provision in the MOU between PLEA and the City of Phoenix that allows for the full time release of six officers that normally staff the PLEA office even though it is part of the total compensation package negotiated every two years for rank and file officers. As you know, PLEA Board members on full time release stand beside you at PSB interviews, disciplinary hearings, IRP meetings, Use of Force hearings, and grievance meetings. They also represent your interests in contract negotiations, and are a powerful voice in labor management discussions. Over the years, we’ve gotten dangerous police vehicles and unsafe ballistic vests taken off the streets, we’ve pushed for better vehicles (Tahoes) and most recently, carried member concerns forward on Class D uniforms, take home vehicles, elimination of work out time, and successfully stopped the Chief’s attempt to move patrol to a 5-8 shift schedule which was going to be implemented starting with Estrella Mountain Precinct. The Goldwater Institute’s lawsuit is a blatant grab to take away your advocacy arm and stifle your voice, under the guise of saving taxpayer dollars. This is just one more example of their long-established aim to undermine police officers and law enforcement. Citizens have rights with regard to due process and representation; apparently Goldwater doesn’t think police officers deserve the same. Unable to find a majority of voters for their agenda, the Goldwater Institute is using the courts in the most cynical way possible. We are, and will continue to fight them. PLEA is filing an immediate appeal in order to seek a stay on the injunction handed down by Judge Cooper. The goal is to achieve a resolution that deals with the key arguments of the case while preserving your right to effective representation. As a result of this injunction, PLEA full time release personnel are immediately being reassigned to other enforcement duties in order to comply with the court’s order. The PLEA office will maintain normal operating hours and front office staff will be available to handle member needs. PLEA is not going away. Lack of full time release will slow our ability to be as responsive to members on discipline and grievance issues as we normally would, however, we will still do everything possible to meet member needs during these trying times. We will continue to update you as developments unfold. CLICK HERE to watch a video from the PBS show Arizona Horizon where former PLEA President Mark Spencer, who is now with Judicial Watch, does an excellent job in explaining how full-time release works and that it is a negotiated benefit, which is part of rank and file Phoenix Police Officers’ total compensation package. 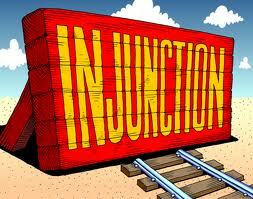 The video is combined with another issue, but the first 14 1/2 minutes are regarding the injunction.